Is the play area separate from where vehicles are? Can the driveway be fenced, with pool-style fencing, and self-closing, latching gates? 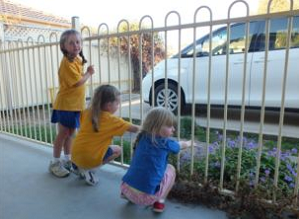 When reversing (or moving forward) out of the driveway, can the footpath and pedestrian area between your property and the road be easily seen (eg no high solid fencing or plants blocking the view)? 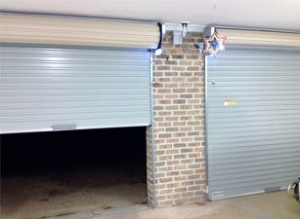 Is the garage easily accessible to toddlers and infants? > a heavier, inward-swinging, solid-core door (so that it will swing shut properly, and children cannot push the door open into the garage)? > a door handle at a minimum height of 1500mm (so toddlers cannot reach)?